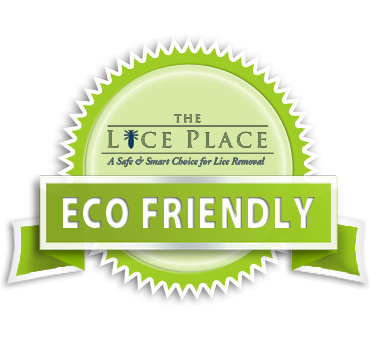 When it comes to providing safe, fast and effective Plano Lice Removal services, The Lice Place has a proven record of assisting thousands of families and individuals get free of lice. We are a well-known company in Plano, Texas. The Lice Place was previously known as The Texas Lice Squad and now with our new name and locations, we are here to offer the same level of efficient services and effective lice removal treatment. Being an NALTP certified member and a company owned and operated by a registered nurse, The Lice Place is bound by specific guidelines and practices that ensure complete protection of our clients. Since, there are no licensing requirements applicable to lice removal companies, anyone can claim themselves to be a lice expert. This is why it is important to select only a reputable and experienced company to receive any type of lice treatment or products. Countless numbers of families have trusted The Lice Place over the years. You can also contact us to receive our natural and safe treatment and professional guidance to prevent the future infestations. At The Lice Place, we offer a non-toxic, pesticide free way of getting the head clear of lice and nits. Our treatment method employs professional combing and manual removal. We use products that are developed by natural ingredients. Our shampoo, conditioner and other lice removal products are also available for sale. You can order them online and can use them conveniently at home to stay free of future lice infestations. TLP also offers many educational programs to help make communities aware of the detection, treatment and prevention of head lice. When you come to any of our offices to receive our Plano Lice Removal services, we offer professional head checks to determine the existence and severity of the problem. These head check services are offered for the whole family and are provided for free both before, as well as after, the treatment. Contact our Plano office today to get your appointment scheduled. We will help make your child and family lice free today and in the years to come.